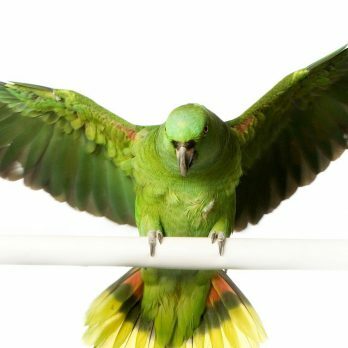 Exercise is a crucial part of any parrots weekly routine. Not only can it stop them from becoming overweight, it can also alleviate boredom and make them happier and less likely to be mischievous…so everyone wins! Walking, climbing, wing beating and playing games can create excitement in their lives and will help to create a stronger bond between you and your pet. If either of you are new to pet exercise then start off slowly and remember the most important thing is that you both enjoy it! Encourage your parrot to go up the stairs step by step. If you don’t have any stairs, you can buy rope ladders from your local pet shop that attach to the ceiling to replicate this movement. This will help to encourage strong legs and feet. Place your parrot on your arm. Secure their feet with your hand if they are new to this form of exercise, as you don’t want them to fall off. Move your hand slowly upwards and downwards to encourage them to flap their wings. You can also move in a circle at the same time to make the exercise more stimulating. You can be as creative as you want with this one! Tried and tested games including encouraging your parrot to chase something on a piece of string, hiding objects in a drawer and asking them to find them or catching a lightweight object. Put your parrot on your shoulder while you walk around the house and do some housework. Chat with them at the same time. This will definitely increase bonding between you both and you could even burn a few extra calories yourself! Again, a very enjoyable exercise. Sit your parrot down on a sofa, chair or table, whack some music on and start dancing in front of them. Don’t worry about looking silly! Most parrots will join in quickly and find this highly engaging. 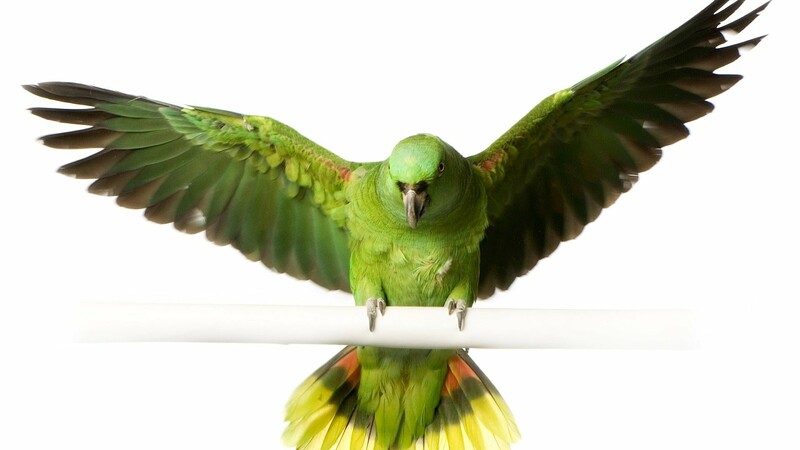 Your pet shop will stock a wide variety of toys for your parrot to play with, both in and outside of their cage. However, many household objects, such as plain undyed paper, feathers, ice lolly sticks and wooden sewing spools all make great toys. Check on all toys daily and replace any that are becoming worn.